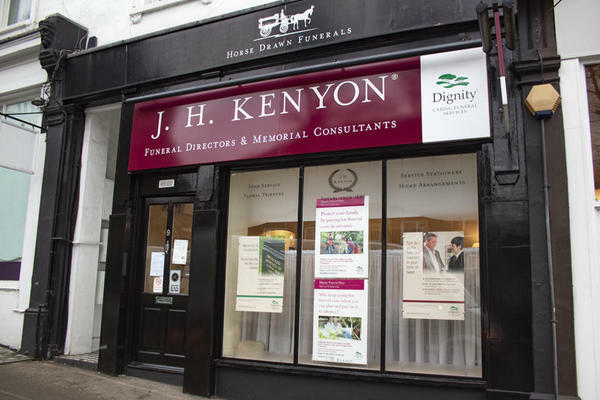 We are J H Kenyon Funeral Directors in Hampstead, and you can depend on us to arrange and conduct a beautiful service that will celebrate your loved one's life, in a way that is personal and meaningful. We have been helping families in London since 1780, and over the centuries our name has become well-known and trusted in our community. The values of our founders still remain core to everything we do; we will look after you, your family and your loved one with the best quality of care and uncompromising kindness, because we want to help ease this difficult time for you. From our state-of-the-art fleet, to our immaculate memorial masonry, everything we will provide you with for your loved ones farewell will be of unparalleled standards, because we understand how important it is to get things right. We can tailor every detail to meet any requests you have, catering for funerals of all religious, non-religious and alternative themes. Please do not hesitate to call us when you need any support or assistance; we are here for you 24 hours a day, no matter what. Call us today on 020 7794 3535 to talk through your personal requirements. There is pay & display parking available at the Royal Free Hospital, or at Hampstead Heath for £3.50 for two hours. We are opposite the Royal Free Hospital and a ten minute walk from Hampstead Heath. Our staff are available 24 hours a day on 020 7794 3535 if you require our services outside of these hours.